C & C Auto Service in Raleigh, NC is here to make sure you maintain excellent driving experiences. Just keep us on speed dial and let us know anytime anything goes wrong with your vehicle. Sometimes it’s just an empathetic ear you need, and other times it’s just a little automotive expertise that we can share. There’s nothing we can’t handle, and nothing’s too big or too small. We’re passionate about meeting our customers’ needs with you our superior service standards. We’ve been serving this community with quality and consistency since 2009, and we’re looking forward to continuing with you. Your vehicle will always be in good hands at C & C Auto Service. Next time you stop into our facility, our team will greet you with the biggest smiles, and our friendly team will still have the same smiles when saying goodbye. When you visit us at C & C Auto Service, we want you to feel as comfortable as possible. Our cozy waiting area includes complimentary coffee, TV and WiFi. Sit back, relax, and let us handle the rest. Respond to some emails, watch some TV, and enjoy a hot cup of coffee. Before you know it, we’ll be finished and have you on your way. You can trust our services are always complete and accurate. You’ll enjoy your service experience from the moment we introduce our expert team to the moment you drive away in your fully enhanced vehicle. Make Your Service Appointment Today! Our family is welcoming you with open arms and quality customer service. You can reserve an appointment time with a quick phone call to our friendly shop at 919-859-0207. 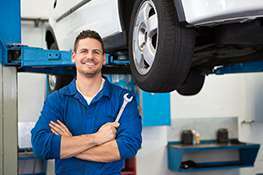 One of our auto service professionals will find out exactly what you need, and then find the fastest and the most affordable way to meet your need. For your convenience, feel free to schedule your appointment right now, using our online scheduling system. If you need a shuttle service, please make note of that request when you are scheduling your service. We look forward to serving you.